Bib + Cape of Batman for more fun! 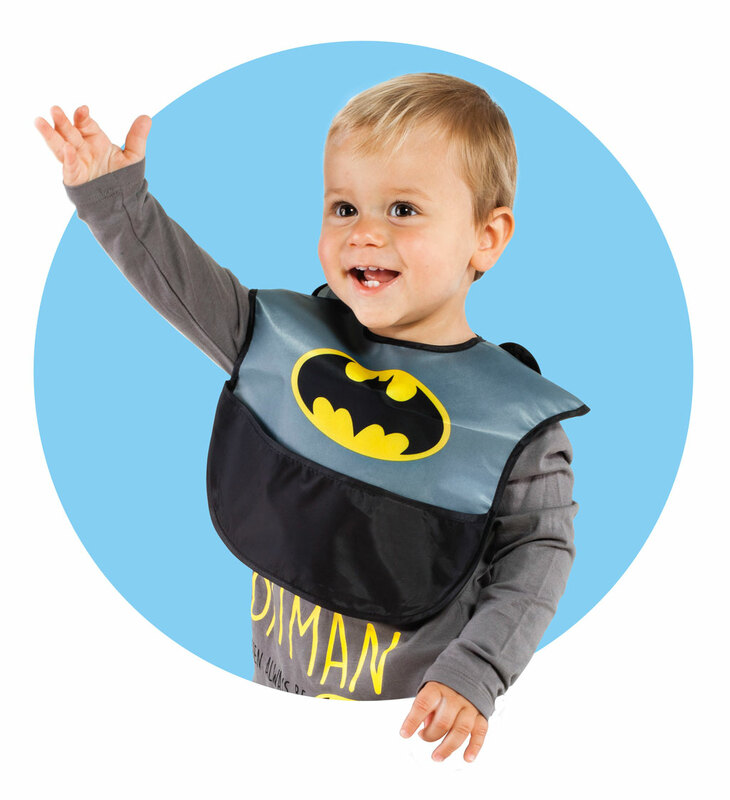 Our Gotham dark knight bib accompanies the baby from his first meals. Made in machine washable fabric, lightweight, easy to clean, waterproof, this super bib of Wayne Industries is both comfortable and durable.